NDNY was commissioned by a research firm to develop a 3-dimensional representation of research data in city form. 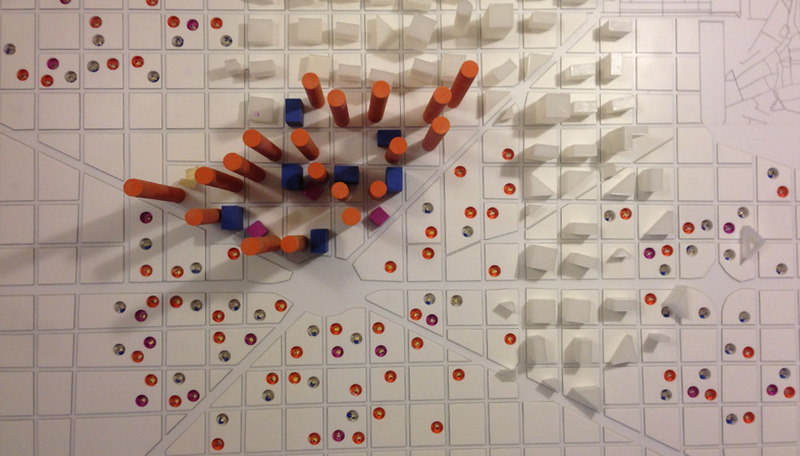 The model comprises of 3 data sets - cylinders, rectangles and squares which have been overlaid on a map of Barcelona abstracted for the purposes of this project. 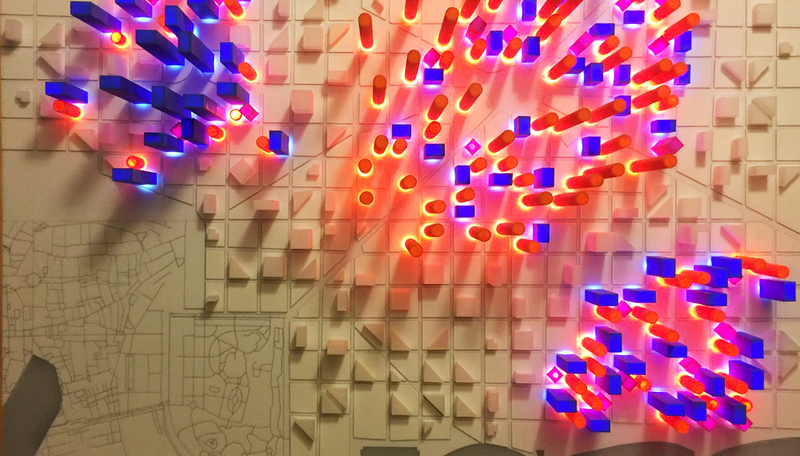 The model was built with illumination to highlight each of the three data sets to make the data easily readable.